A reliable electrician in Bentleigh for all your home or commercial needs! If you’re after the most efficient electrician in Bentleigh then you have come to the right place! Whether the job is as small as switching the lightbulbs in your home to something as extensive as a complete electrical rewiring, our experienced team of sparkies has the know-how and the skills to solve all your domestic and commercial electrical concerns! 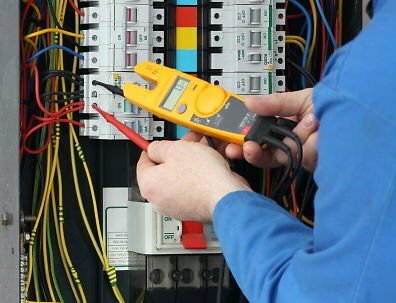 We provide a wide range of electrical services to commercial and residential clients in Bentleigh. If you’re unsatisfied with the service or price your current sparkie offers, then allow Briggs Electrical provide you a solution that fits your circumstances… and your budget! 24 hours a day, 7 days a week – contact us anytime. If an electrical emergency strikes your residence or business, professional assistance is never far away. Call our 24 hour emergency service for fast relief when fuses blow and devices start sparking and smoking. Our experienced team is able to offer efficient, trustworthy service when you need it most! Our electricians’ vans are fully equipped with all the tools of the trade, so whenever an electrical disaster strikes your home, our qualified sparkies are able to resolve your home’s problems on the spot, no dramas! At Briggs Electrical, we understand how valuable time is to you. So if your Bentleigh home or business needs any work done on its electrical system, contact our team today! Our experienced sparkies will be at your home or business with the right solution!